MIAMI- March 6, 2014 – Deportes Telemundo has announced the addition of Mexican soccer legend Carlos Hermosillo to its team of sportscasters and analysts. Hermosillo will join a distinguished Deportes Telemundo lineup that already includes world-renowned narrator Andrés Cantor, soccer expert Sammy Sadovnik, and former player and commentator Manuel Sol. His first appearance on Telemundo will be on Wednesday, March 12 as a guest on “Titulares y Más” (11:30 PM/10:30 PM CST) and he will debut as a commentator on Saturday, March 22 (10 PM EST/9 CST/6 PST), when León confronts his former Liga MX teammates, Cruz Azul. Hermosillo, who holds the record as the second top scorer in Mexican soccer history, is the latest addition to the soccer division of Deportes Telemundo, the unit of Telemundo Media that produces “Rumbo al Mundial,” “Fútbol Estelar,” “Fútbol Estelar León” and the Olympic Games. Starting in 2015, it will also be the new home of the FIFA World Cup. Hermosillo got his start in professional soccer in 1984 as a forward with Club América, which he led to four league championships. He went on to play with a number of other Mexican teams, including Monterrey, Atlante and Guadalajara, and helped bring home league titles for Necaxa and Cruz Azul. He also starred on the field in Europe with Standard Liège (Belgium), and in the United States with the Los Angeles Galaxy. Also known as “the Giant from Cerro Azul,” Hermosillo was a key part of the Mexican national team’s performance in the Mexico 1986 and United States 1994 World Cups. He has a special place in the heart of fans of Cruz Azul, where he won three consecutive titles as top scorer and reached the high point of his career with a total of 168 goals scored. Since retiring from the field, Hermosillo has pursued a successful career as a sports commentator and served as Director of Mexico’s National Commission of Physical Culture and Sports (CONADE). 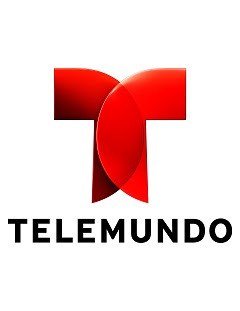 Deportes Telemundo, Telemundo Media’s sports division, is one of the leading providers of Spanish-language sports content in the United States. The “U.S. Home of the Olympics in Spanish,” and the U.S. home of the Barclays Premier League in Spanish as well, Deportes Telemundo also offers World Cup Qualifying matches played by the Mexican National Team; all Liga MX matches played at home by Club León; the leading boxing show in U.S. Spanish-language television, “Boxeo Telemundo,” and the U.S. broadcast and online rights in Spanish language to the biggest soccer tournament in the world, the FIFA World Cup®, across all platforms (except radio), 2015 through 2022. In addition to its biggest sporting events, Deportes Telemundo produces two leading sports entertainment shows, “Titulares y Más” and “Titulares Telemundo,” offering the latest sports news and analysis combined with entertainment and lifestyle segments. Deportes Telemundo’s award-winning broadcast team is led by internationally acclaimed sportscaster Andrés Cantor and also includes Jessi Losada, Sammy Sadovnik, Manuel Sol, Leti Coo, Edgar López, Karim Mendiburu, Mirella Grisales, Rene Giraldo and Kaziro Aoyama.